I enjoyed this movie. But…I don’t think everyone will. 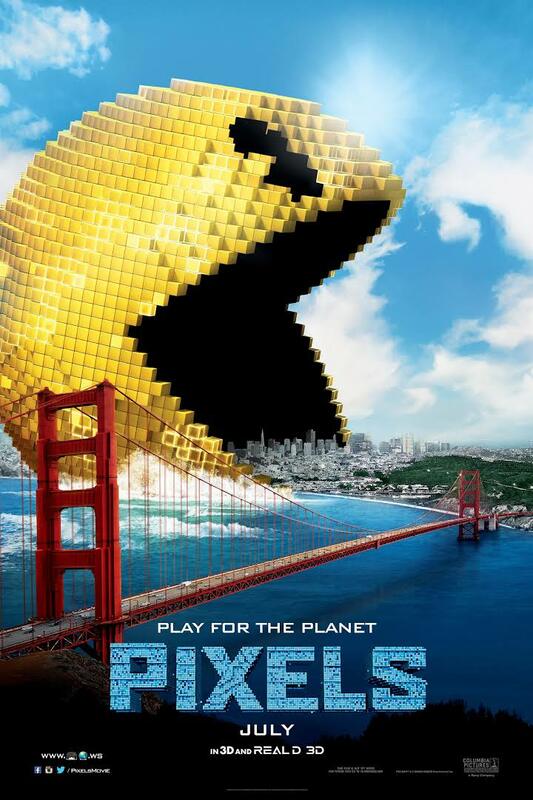 If you are a child of the 1980s and spent any time playing video games or in a video arcade, you will enjoy this movie. If you enjoy Adam Sandler movies, no matter what, you will enjoy this movie. if you can suspend believe and see Kevin James as the President of the United States, you will enjoy this movie. If you like classic rock, music from the 1980s, you will enjoy this movie. Now, If…you don’t enjoy those things, you might not enjoy this movie. I know the movie didn’t get great reviews, well, actually, I didn’t know that until people told me about it after I saw it, but it wouldn’t have mattered, I wanted to see it and that’s all there was to it. When I saw the advertisement the first time, I thought, huh? Then…when I saw the preview, I immediately texted PSM a link to the trailer and said, “We are going to see that!” I don’t regret it and I will probably add it to the collection at some point. It was a little long and it could have stopped after the Pac Man battle, but it didn’t, so there it may have gone a little too far, but I was engaged. The cast was top notch. The supporting cast was great and slightly surprising. Dan Ackroyd and Lanie Kazan played very small roles, but it was fun to see them, Sean Bean was a bad arse, as he always is, but then silly, Jane Krokowski as the First Lady, a little odd and…I am convinced that Brian Cox is typecast. Martha Stewart and Serena Williams were in it for about 30 to 60 seconds each, maybe, purely for comic value. Rounding out the lead roles with Adam Sandler was Kevin James, his childhood friend, now the president and unfortunately, like you might imagine him to be and Josh Gad, better known to the greater human race as Olaf, who likes warm hugs and let me just say, a little odd to hear him scream at Navy Seals and use grown up language and then you get a hint of Olaf, then the final member of the team is Peter Dinklage, who just kills it whatever he does. Of course, you have to have a female lead and I really enjoyed Michelle Monagan, a bad arse herself yet, sitting in a closet drinking wine from a sippy cup, I liked it. Like I said, or haven’t said yet, not an academy award winner and I do hope they make their $88 million back, but based on the very small showing at the theater today, I have a feeling they might miss the mark. But…having spent a lot of quarters and time in an arcade, Ms Pacman is my game, along with my dream of having my own game one day [either stand up or table top, hint hint]. The soundtrack really made the movie, http://www.songonlyrics.net/soundtracks/pixels-soundtrack-list.html and you know, if it’s an Adam Sandler movie and has anything to do with the 1980s, it’s going to be classic rock and it’s going to be good. So, now you have my thoughts on the movie. Like video games from the 80s? Classic rock? Go see it. Can you wait until it comes out on video? Yup. Will it be on dvd soon? Yup.